I was recently laid off from my job, in which I was quite upset. With me being in the third trimester of my pregnancy, it pretty much screwed me for looking for another job... plus I didn't get enough hours in to qualify for maternity leave. What I had in the back of my head prior to this, was to become a stay at home mother and start a small home daycare... now with the circumstances, it's my best option. The home daycare is an option that's well suited for a mother who wants to be at home with her kids while they are young, but still earn money to support the family. 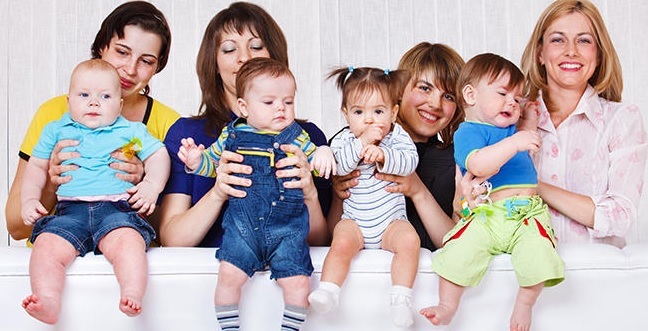 In Ontario, Canada, a home daycare is allowed to have five children younger than 10, plus their own children. These homes don't have to be registered or licensed. However, registering with an agency can help aid in finding clients. Decide if you want to work by yourself or with an agency to provide childcare in your home. If you're looking to work with an agency, you would need to go through some form of orientation process in order to make sure that you meet the guidelines, however, the guidelines are pretty much the same for unlicensed care. Prepare your home to meet the space requirements for a home daycare in Ontario. You would be required to have a separate sleeping area, an area for eating, an area for play, and an area for crafts and educational activities. All chemicals and cleaning product have to be locked and stored in a safe place. The home also needs to be smoke free and in compliance with the Smoke Free Ontario Act. The daycare must contain a first aid kit, fire extinguisher and smoke alarm. Smoke alarms need to be on every story of your home, and near every sleeping area in order to open a home daycare in Ontario. Acquire appropriate toys and art supplies, as required by the Ontario government regulations. There must be an adequate number of age appropriate toys available to entertain all of the children in your care. You can find these type of toys at yard sales and thrift stores, but double check all safety recalls if they are not new. Prepare an outdoor play area for your home daycare. Ontario guidelines require children to spend at least two hours outside every day as long as the weather is favorable. The area should be fenced and at least 60 square feet per child. Make sure it's free from any poisonous plants and other hazards. Purchase and install playground equipment and toys that are age appropriate. If you don't have access to an actual yard on your property, make sure to prepare proper documents if you plan to visit a nearby park. Come up with a program philosophy to include in information packages for parents. Include fee schedules and hours. Ontario require you to set up a schedule you can show parents and your agency about the activities you will provide the children. In addition to the two hour outdoor time, you should have meal plans and snack times, nap times, and times for children to do art projects and educational activities. Take first aid and CPR training, and any other training required if you're going with an agency. There's no formal education requirements to operate a home daycare in Ontario, but completing a degree or certification in early childhood development could attract more clients. Establish your policies and procedures. Ontario requires you to keep attendance records as well as record fire drills and any accidents. All meals should be recorded, as well as activities completed. You should purchase specialized insurance for your home daycare. This would protect you and your assets if there was an accident while children are in your care.